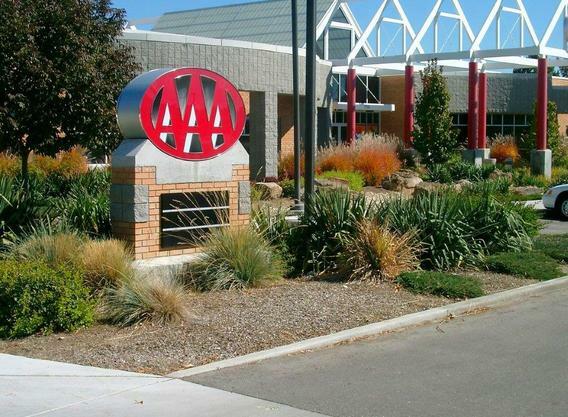 We offer a full range of commercial landscaping for business. 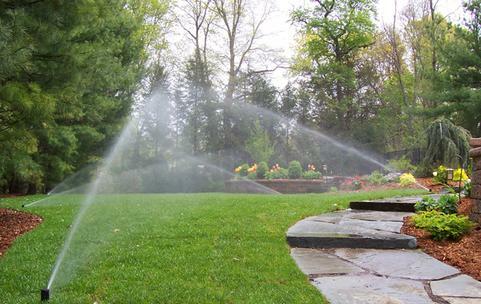 We Provide Full Sprinkler Service From Turn Ons, Blow Outs, Repair, and Design. 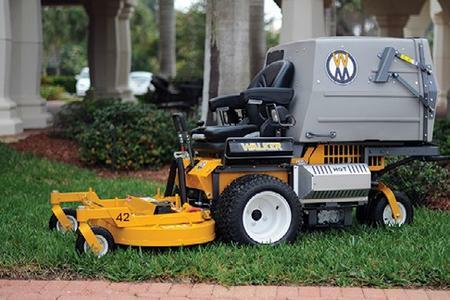 We offer lawn mowing, edging and flower bed maintenance. Having some Pest problems we can help. Just give us a call. 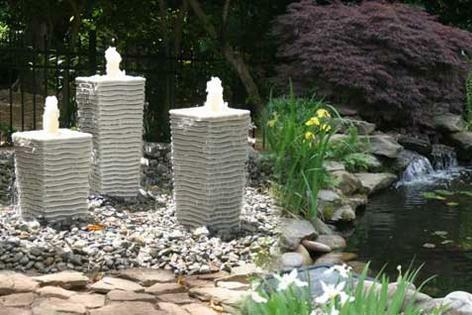 Create a beautiful backyard by adding a garden water feature. 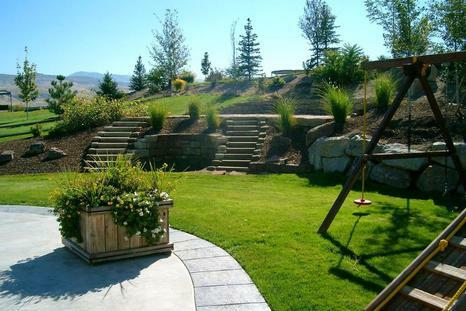 Green Lawn Care is able to create walkways, retaining walls, driveways, garden boxes and garden pathways. 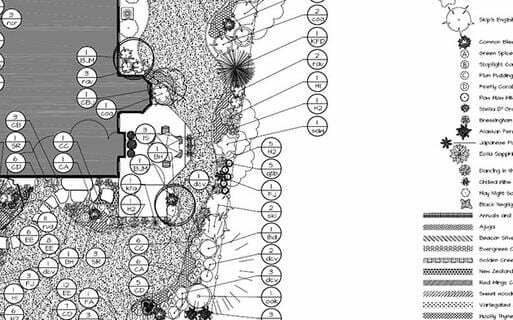 Need Some Landscape Design? We can assist you in finding the right plan for you. Need A retaining Wall. Or A Firepit design. We can Assist with the design and Building of what you need. Need Something Planted? We can take care of all of your tree and shrub planting needs. Green Lawn Care and Landscape prides themselves in the amount of knowledge and understanding we possess in the landscaping process. We are able to give a variety of ideas and choices on plants, trees, flowers or shrubs that will work best for your homes structure and climate. No job is too big or too small. Not sure what you want? We can put you in contact with our Landscape Designer who will listen to your needs and suggestions and help design an outdoor living space that will suit you. We are also able to install a design plan that is already drawn out. We provide services in landscape design, installation and renovation, including patios, walkways, retaining walls, ponds and water feature. 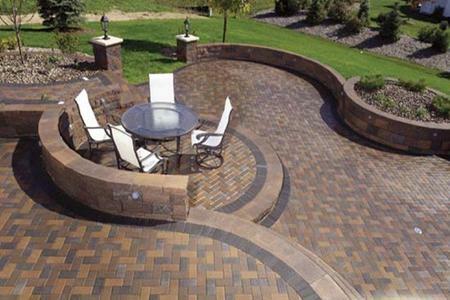 We can make your outdoor remodel a success. 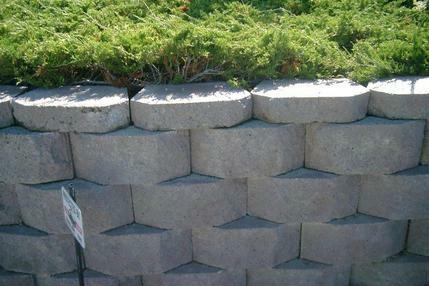 We offer Professional Landscape Care for your planting beds. We can help you keep your yard healthy and looking great with Spring, Summer and Fall visits for pruning, mulching, and weeding. Whatever you need for your landscape needs we can provide. 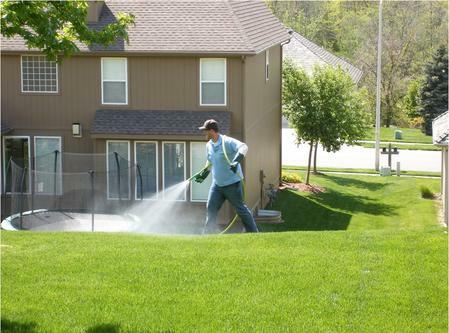 Reduction in lawn care maintenance. Full system installations and repairs. Maintenance and 24 hour emergency services. Watering management and seasonal watering adjustments. System turn on and blow outs. 5 year parts -2 year labor warranty. A sprinkler irrigation system is a planned system in which all necessary components have been installed for efficient application of irrigation water by means of nozzles operated under pressure. Sprinkler irrigation designs are based on an evaluation of the site considering soil, topography, water supply, energy supply, trees, shrubs, flowers to be grown, labor requirements, and expected operating conditions. The purpose of a sprinkler system is to efficiently and uniformly apply irrigation water to trees, shrubs and flowers or soil without causing erosion, excessive water loss, or reduction in water quality. An irrigation system must be designed as an integral part of a conservation plan based on the capabilities of the natural resources and the needs of each residential or commercial design. The most efficient type of system should be planned. 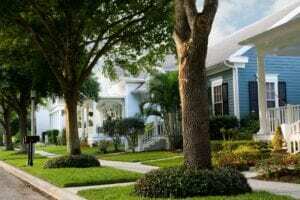 Green Lawn Care offers lawn mowing, edging and flower bed maintenance. These services can be weekly, or a pre-estimate can be provided as a one time service. We are able to provide these services to residential and commercial customers. Specific wants and needs that are not part of the normal maintenance services can be arranged. These would be things such as removal of dog waste, discarding pine cones or other debris from trees, or any other wants or needs the customer may require that fits specifically to them. We have specific crews for the maintenance services and are able to specify the day of the week the services will be done. 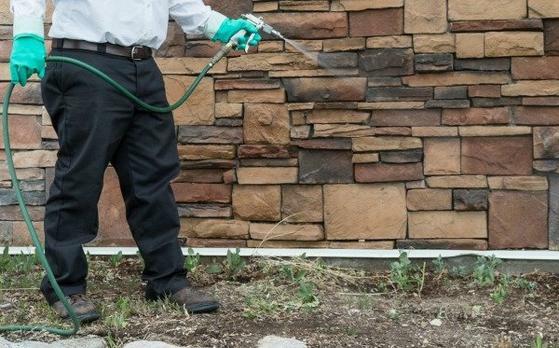 Fertilizing is one of the most important elements to achieving and keeping a green and weed free lawn. A dense healthy lawn will not only look more appealing but also help protect your lawn from insects and weed activity. 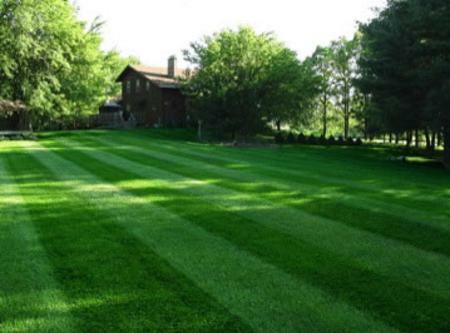 One application is good, but five applications is best and we will guarantee a weed free lawn with our full program. 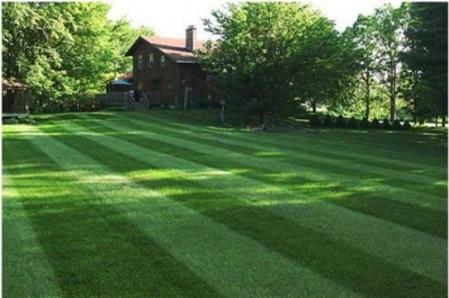 Your grass has different needs at different times of the season spring through fall. This is why five applications is best. Properly maintained trees and shrubs will not only increase your property value but will also increase the curb appeal of your home. Tree Removal is dangerous; call our professionals today. Tree Removal includes the chipping and removal of all branches. Trunk wood can be removed from property or left for firewood. 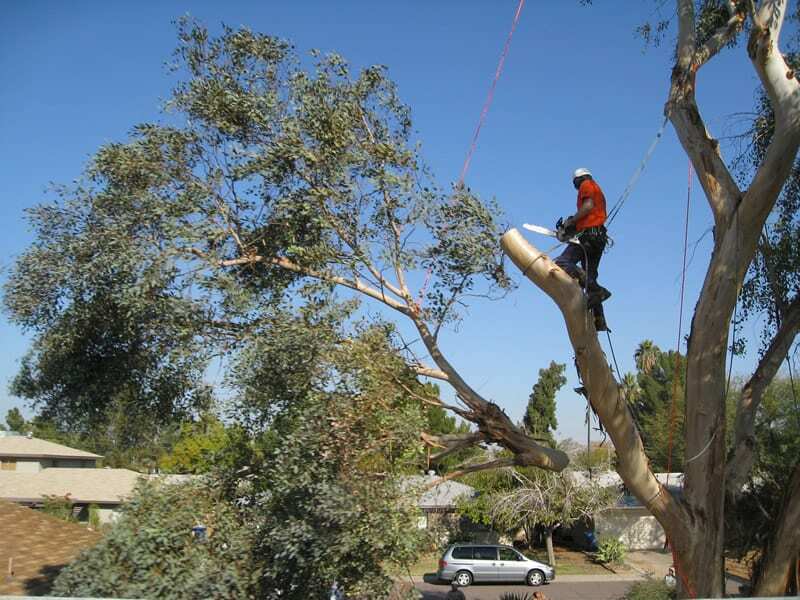 The safety of our employees and of your property are our highest concern when removing a tree. In some cases, it becomes necessary to remove a tree due to uncontrollable circumstances such as disease infestation, decay or space limitation. We will safety and efficiently remove your trees while taking necessary precautions to protect the surrounding landscape. Tree removal often requires our arborist to carefully "dismantle" the tree using specialized equipment, roping and rigging. The type of equipment depends on where the tree is located, the health and stability of the tree and the position of the branches. There are more than 35,000 species of spiders in the world. In Idaho, only two spider groups present significant danger: the brown recluse spider and the black widow. Our spider barriers not only controls spiders but also control many crawling insect trying to enter the house such as (ants, earwigs, beetles, fleas and ticks) does not control flying insects. Applications last 1 ½ - 2 months providing you with 4 applications guaranteed to keep you bug free. We provide spider barriers in Meridian, Boise, Nampa and Caldwell. Call us to start your services now. When designing your outdoor living space do not forget the serenity of water. Ponds, waterfalls, fountains and more can turn your outdoor living space or backyard into a peaceful retreat for you and your family. 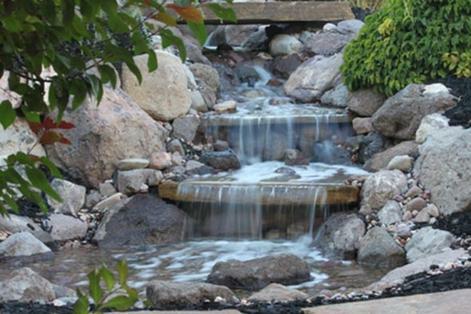 Whether you prefer a waterfall, pond, stream, fountain, colorful fish or water lilies, we can help you find the best fit for you and your space. Keep your landscape safe and healthy by allowing GLC to professionally prune your mature trees. 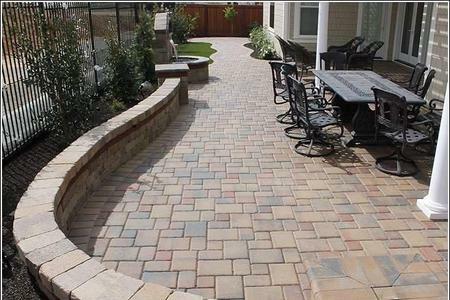 Patios, drive ways, retaining walls and more. 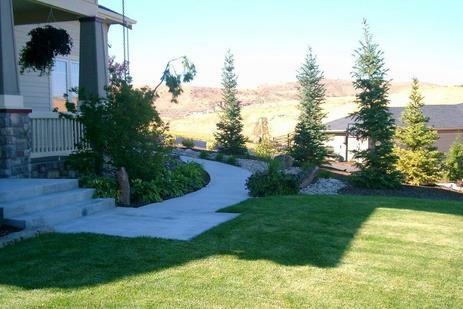 Green Lawn Care is able to design and install many different stone features. 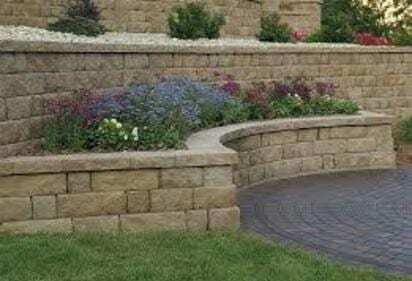 We are able to create walkways, retaining walls, driveways, garden boxes and garden pathways. Any of these designs can be done with whatever type of stone you would like. The choice is up to you! 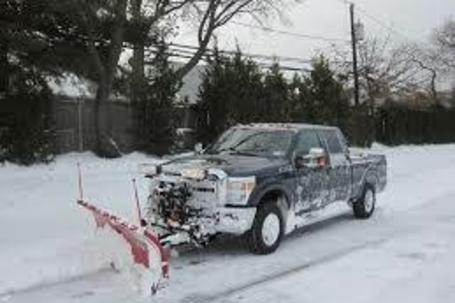 Green Lawn Care & Landscape offers commercial snow removal, ice control, snow plowing, sidewalk shoveling and ice removal to corporate and commercial clients throughout the Treasure Valley. Minor Snowfall accumulation can create difficult winter conditions. 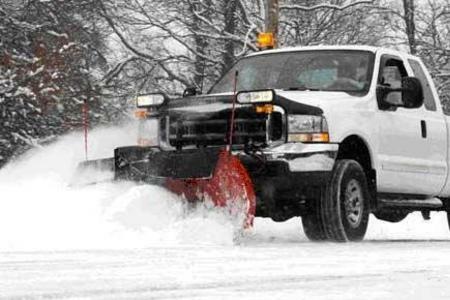 Major snowfall accumulations can produce a negative impact on businesses and commercial properties that can last for days. Green Lawn Care & Landscape Inc can offer the commercial Client the protection necessary to ensure same operations on their property. Equipment and manpower to provide timely curb to curb clearing of any size area. We serve local hospitals, major retailers and small businesses as well as individual homeowners. With proper pruning and removal of deadwood, intertwining limbs and sucker growth, you will reduce the chances of insect or disease infestation and safety hazards. 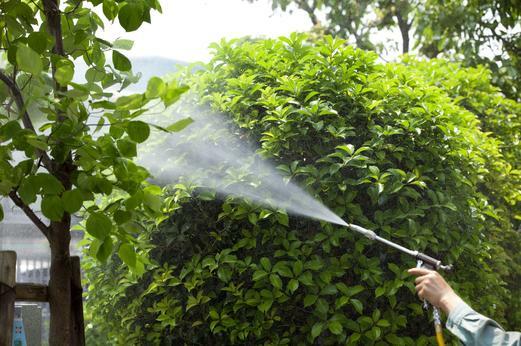 Keep your landscape safe and healthy by allowing Green Lawn Care to professionally prune your mature trees. We specialize in dangerous tree removals that other companies don't want to do. Protection of the safety our employees and of your property are our highest's concern when removing a tree. 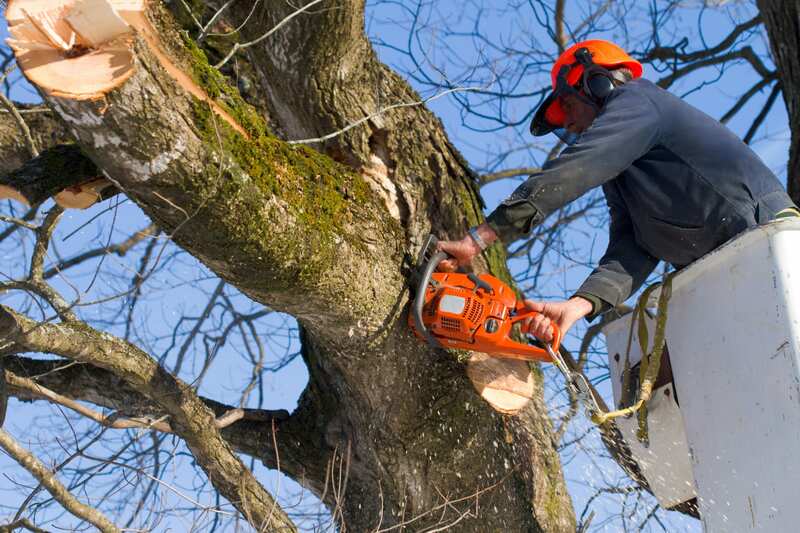 Safe tree removal requires skill to prevent damage to your property and your home. Most trees cannot just be dropped in the yard because they extend over your home, shrubs, landscaping, pool or even your neighbor's property. Tree removal often requires our arborist's to carefully "dismantle" the tree using specialized equipment, roping and rigging. The type of equipment depends on where the tree is located, the health and stability of the tree and the position of the branches.